Fronted by twin brothers Jacopo and Lorenzo Garzia, Italian reggae band Mellow Mood was formed in Pordenone in 2005 but officially debuted in 2009 with their first record, entitled "Move". Produced by Paolo Baldini, who was later to become their sound architect, the album was intended to be their first "Move�€ on the international reggae scene: totally self-released, it was an unexpected success and the two singles "Only You"and "Dance Inna Babylon"got a total of more than ten million views on YouTube. Their heartfelt live shows led Rototom Sunsplash to name Mellow Mood best Italian reggae band, ranked third at European level. Two years of intensive touring and artistic growth followed. After a slight line-up change, Mellow Mood went back into the studio with Baldini to record "Well Well Well�€, released in May 2012 by Italy's most important independent label, La Tempesta. Ranging from roots-reggae to rocksteady, to tribal clubbing, Well Well Well is intense and elegant, and showcases the progression of Mellow Mood, as they proved to be among the protagonists of a new generation of reggae artists coming from all over the planet. 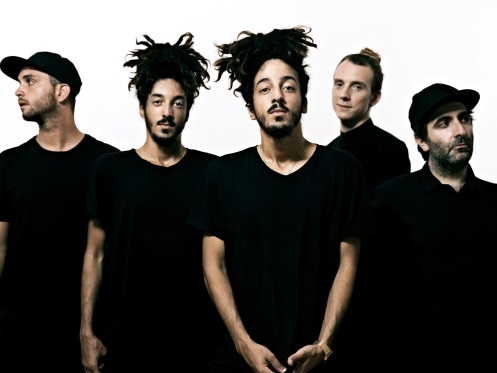 The tour following the album release led the band to 12 European countries, where they performed at the most important festivals like Rototom Sunsplash, Sziget Festival and Sumol Summer Festival. Over the second half of 2013 the two singles "Dig Dig Dig"and "Extra Love"were released (the latter features reggae legend Tanya Stephens), as a preview of the band's development. Their album, entitled "Twinz" released in June 2014. Produced once again by Paolo Baldini, it has a streamlined line-up, prestigious international collaborations and couples the rediscovery of roots music with a deeper knowledge of the newest jamaican sounds. Less than one year later, "Twinz" revealed its twin: "2 The World", once again released by La Tempesta, bears witness to the creative growth of the band and is enriched by national (Forelock, Andrew I) and Jamaican collaborations (Tanya Stephens, Jah9, Hempress Sativa, Gideon & Selah). The title aims at both underlining the international calling of the band and the work team gravitating around Baldini's studio, as well as showing how the Italian scene (artists and the general public together) is now ready to find its place on the global reggae landscape. With California Festival dates already confirmed at Cali Roots and Sierra Nevada World Music fest look for more 2017 May and June dates for sure.